A2B Specialise and offer a very reliable danish trolley delivery service throughout the UK to garden centres and nurseries all year round. Trolleys are dropped off at one of our depots (See GDS). Trolleys can be collected but may incur a charge depending on where you are and how many to collect. At this stage trolleys will be exchanged for empty ones. All trolleys must reach our depots by Tuesdays / Wednesdays for delivery by Friday of the same week. 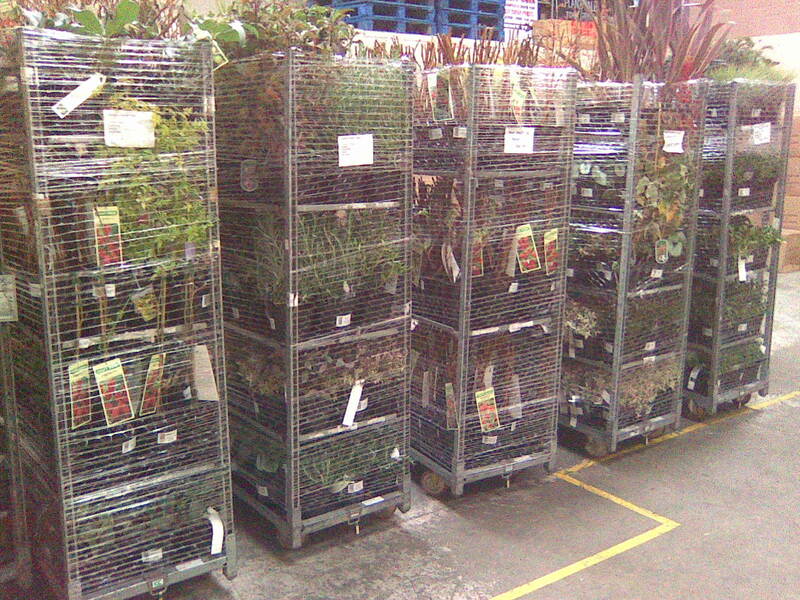 Trolleys must have a clear readable lable on both ends of the trolley and plants must be watered and wrapped well before coming into our warehouse. A2B has been offering this service for about 13 seasons and is very experienced in handling plants on trolleys and our service is very reliable. For any more information required please contact our office staff.